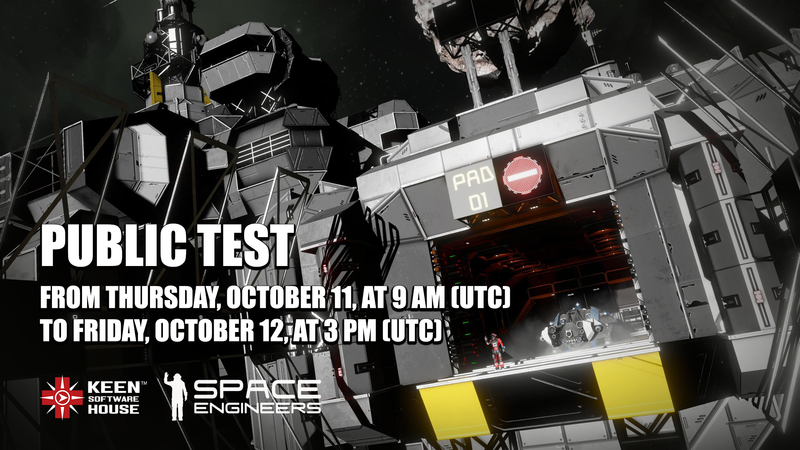 If you weren’t able to participate in last week’s Space Engineers Public Test have no fear because we’re running another test from Thursday, October 11th, 9 am UTC, to Friday, October 12th, 3 pm UTC! This test will also feature 3 survival servers, one for each time zone. As always, we will announce the branch code at the time of the test and we will make a dedicated server available as well. What’s new and improved for this test? Please note: we have created Good.bot to help new players learn how to play Space Engineers. However, Good.bot is still learning how to answer other types of questions related to gameplay. With that in mind, please be patient with Good.bot. We encourage you to ask Good.bot whatever you want, as this will help us to improve its functionality, and make Good.bot even more helpful for new players! Similar to our last test, players will be able to submit their feedback on all of these features via a survey at the end of the test.